Named as one of the Top 25 Most Extraordinary Minds in Sales and Marketing by the Hospitality Sales & Marketing Association International, Andrew brings a combination of experience, passion and creativity to every endeavor. For many, the Bar Mitzvah marks the coming of age, for Andrew it marked the start of a long path in marketing and public relations. He grew up in New Jersey (exit 153A) and graduated from Montclair State University with a Marketing Degree, paying his way through school by working at a travel agency and performing in just about every community theater musical in the area. Name a show and he will sing the score for you. Making people happy and bringing enjoyment into their lives is Andrew’s driving force. Andrew learned the restaurant business by working through the ranks at several legendary New York venues. At Windows on the World, Andrew was Vice President of Public Relations and Marketing and responsible for the re-launch after the Trade Center bombing in 1992. At the Russian Tea Room, Andrew opened the Cabaret which became the toast of the town after only six months. He was also lucky enough to spend six years as the Vice President of Public Relations for the magnificent Rainbow Room working with restaurant legend Joe Baum. Prior to opening AF&Co, Andrew was Vice President of Public Relations and Strategic Partnerships for Kimpton Hotels and Restaurants. In total, he spent ten years with Kimpton, launching over 40 hotels and restaurants as well as the global brand. 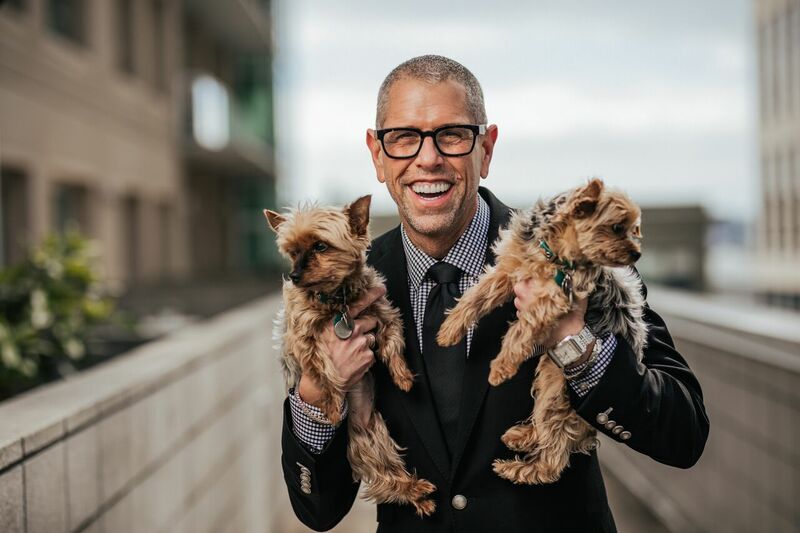 During his tenure Andrew helped spearhead the LGBT travel program, which has garnered numerous awards and positioned Kimpton as one of the Top Companies for LGBT employment in the country. In 2002, Kimpton became the first hospitality company ever to receive a 100% score on the Human Rights Campaign Foundation’s Corporate Equality Index and has continued to do so every year since. A dedicated philanthropist, Andrew sits on the boards of CUESA, Dress for Success San Francisco and The Richmond Ermet AIDS Foundation since 2000. He is a former board member of Meals on Wheels San Francisco, the San Francisco Convention and Visitors Bureau and the Anti-Defamation League, and was an advisor for the American Airlines LGBT committee. In 2016, 2017, and 2018, AF&Co. was named by the San Francisco Business Times as one of the Top 50 LGBT-Owned Businesses in the Bay Area. Andrew is a contributor to numerous industry magazines and blogs and guest speaker at industry conferences. AF&Co.’s annual trend report is highly regarded and has garnered tremendous worldwide coverage. He resides in San Francisco with his gorgeous yorkie Tulip.